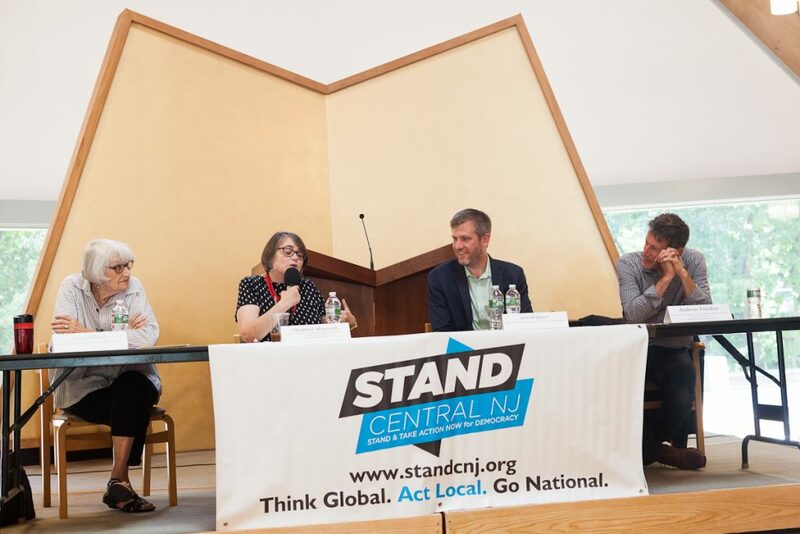 A crowd of central New Jerseyans gathered in Princeton on September 16th to ask a panel of experts about New Jersey politics and the upcoming state election. STAND CNJ’s “Burning Issues in NJ Politics: Countdown to the Election” event featured panelists Heather Howard of Princeton University and the Princeton town council, Ingrid Reed of the Eagleton Institute of Politics, Jon Whiten of New Jersey Policy Perspective, and state Rep. Andrew Zwicker of New Jersey’s 16th district. During the Q&A event, they discussed the increased civic engagement of the past year, and shared their insights into the urgent issues New Jersey faces as it heads into the November election and beyond. Looking back on the months since the 2016 election, panelists commended the efforts of new grassroots activists to preserve progressive policies. “Your work is really so supportive and helpful. New Jersey was on the frontlines,” said Heather Howard, in reference to the fight to preserve ACA healthcare protections. Jon Whiten noted that widespread activism made a huge difference regarding healthcare; he reminded us that many people assumed Congress would immediately repeal the ACA in the days after President Trump’s inauguration! According to Ingrid Reed, the effect of increased activism was noticeable in this spring’s gubernatorial primaries too. Candidates who weren’t endorsed by the party committees still received a significant portion of votes. That tells us that “many more people are thinking about who should represent them” than in a typical gubernatorial primary race, said Reed. Many in the audience asked how we can maintain this grassroots activity, and motivate people who are apathetic about state and local elections. Panelists had several suggestions. Howard reminded us that in state and local elections, individual votes really do matter — after all, Rep. Zwicker won his seat by 76 votes! 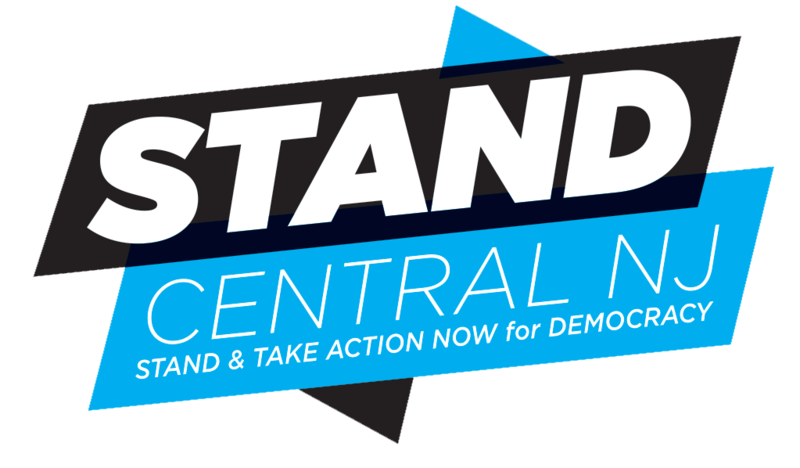 Other recommendations included organizing get-out-the-vote campaigns that connect a voter’s values with what happens in the statehouse (just like STAND is doing! ), and increasing the civic engagement of high school students in their local governments. Reed recommends that New Jersey develop better ways to inform people about who is running for what office. “It’s really difficult to know what you should pay attention to…There’s not voter apathy about what they think of government,” she said. Instead, the problem lies in figuring out what issues to follow and who to vote for at the state or local level. Healthcare was a major focus of audience questions. During the past months of congressional attempts to repeal and replace the ACA, many progressives have wondered whether a state-wide single payer system is possible. However, according to Whiten, “It’s close to impossible. The funds just really aren’t there…We need to maintain the progress that we’ve made at the federal level” if we want to improve healthcare. Howard agrees: “I think the answer [to improving healthcare costs and coverage] is to do it at the federal level” where funding is more flexible and deficit spending is possible, she said. Howard sees a single-payer, Medicare-for-All plan at the federal level as one important way to reduce costs for small businesses. While a state-based single-payer system is unlikely, universal coverage for New Jersey’s children is possible, according to Whiten. Economic concerns also loomed large in the Q&A. “There are huge structural barriers to economic success” in New Jersey, said Whiten: 1 in 10 New Jerseyans live below the federal poverty line, state investment in almost every area has been flat or cut, property and sales taxes are regressive, and the long-underfunded NJ Transit system “is in a death spiral.” Possible solutions to these problems based on New Jersey Policy Perspective’s analysis include raising the minimum wage, guaranteeing sick leave for workers, and rethinking property and sales taxes so that the wealthy pay their fair share. According to Reed, another way to improve economic well-being for New Jersey residents is to invest more in community colleges that can retrain workers for better-paying jobs. As if these concerns weren’t enough, our state also faces major budget problems in the coming years. Reed warned that the $35 billion budget limit will give us very little wiggle room. The next governor will play a huge role in dealing with the state budget. Whiten says he or she will have to look at ways to “expand the pie of the budget in a fair and equitable way”, work to protect current federal sources of money, and try to find new sources as well. Howard predicts that recreational marijuana will soon be legal as the state looks for new ways to fill its coffers. 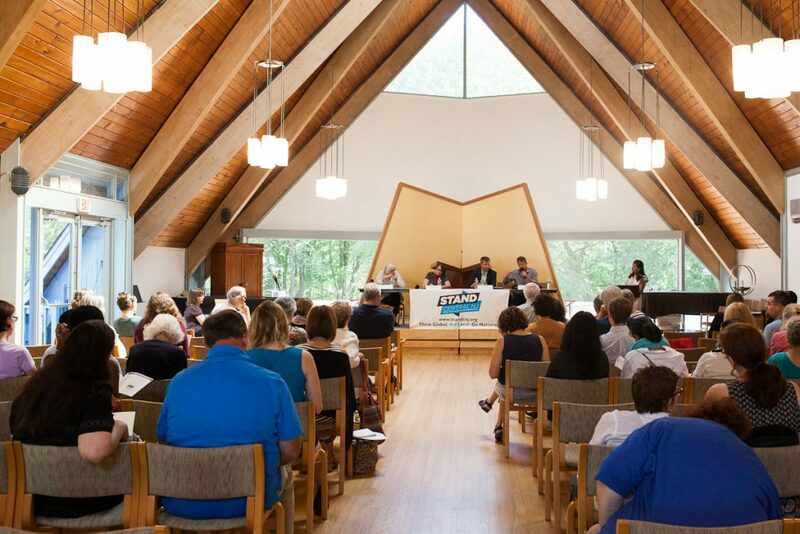 Citizens can get engaged in the budget process by attending public budget hearings to testify about the specific state investments that matter to you. Another issue on people’s minds was climate change: with the federal government doing little about climate change (and sometimes even denying its existence), how do we address it in New Jersey? Rep. Zwicker sees a robust role for the state to play, by rejoining the Regional Greenhouse Gas Initiative, committing to honor the Paris Climate Agreement, and incentivizing energy efficiency, especially in warehouses and school buildings. “It’s about investing millions now to save billions later, and to save people’s lives,” said Zwicker. Reed emphasized the importance of coastal management and resiliency as we deal with the effects of climate change in New Jersey, an approach that the state has so far resisted. “We don’t have a plan for where is safer to build and in what condition…We in New Jersey have really turned a blind eye to thinking about what the alternatives are,” she said. Reed recommended that the entire state follow the example of Tom’s River, which has recently created a new master plan for the city using 100-year projections from scientists at Rutgers University and high-water marks from Hurricane Sandy. So, with all these urgent issues, what can we do to ensure we are effective in addressing them in 2017 and beyond? At an individual level, “the challenge is to pay attention to what party officials are doing”, said Reed. She recommends that people get involved with their local party committees, communicate with local party officials, and help get more people out to vote. Some in the audience asked how we can protect our state from harmful policy coming out of Washington. “We need a governor who makes [protecting New Jersey from an extreme right-wing agenda] a priority, and a legislature” who will support that, according to Rep. Zwicker. New Jersey could “make progress on day one” of the new governor’s term by restoring funding for and access to reproductive health services, said Howard. Zwicker mentioned a number of progressive bills that had passed with bipartisan support in the last session, but were vetoed by Gov. Christie. These bills can be queued up to quickly pass next January, if there is a governor and legislature committed to them. Another strategy New Jersey can take is “joining with other states [like California and New York] in a resistance agenda,” offered Howard. A lot of problems and possibilities lie before us. Let’s get to work, New Jersey!